A few of you may remember Flatland: The Movie – one of my favorites of all time! I’d like to start our investigation of Space and Perspective by watching and reflecting on this half hour film. I’m not able to find an online version of the film, but have a DVD I plan to show. My favorite part of the book is the introduction and preface to the second and revised edition, 1884. Open Flatland Introduction to read both the introduction and preface from a 1952 edition I was lucky to find. This is optional of course, but you might enjoy Abbott’s response to public criticism of his first edition. Go ahead and read Part I, Sections 1-2 before class on Friday. 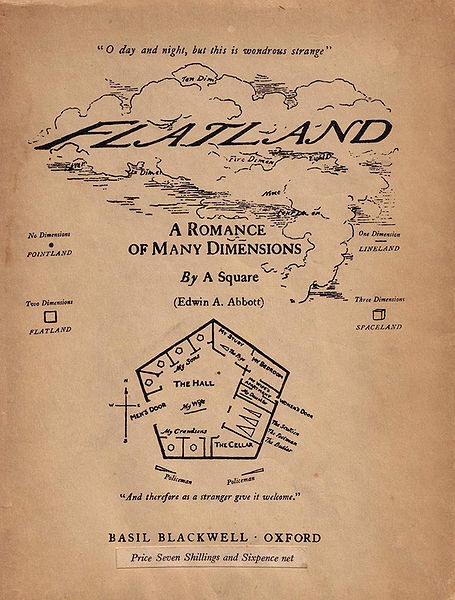 Section 1 concerns the nature of Flatland (may seem a little different from the film). Section 2 concerns the climate and houses in Flatland. On Friday, we will talk more in depth about the houses in Flatland and design our own Flatland house. Let’s go ahead and watch the movie now. Afterwards, we will discuss as a whole class. Tonight, I’ll be asking you to create a blog posting on your new site concerning the film. Reflect freely in response to Flatland: The Movie. If you want more guidance, consider the guided prompt below. 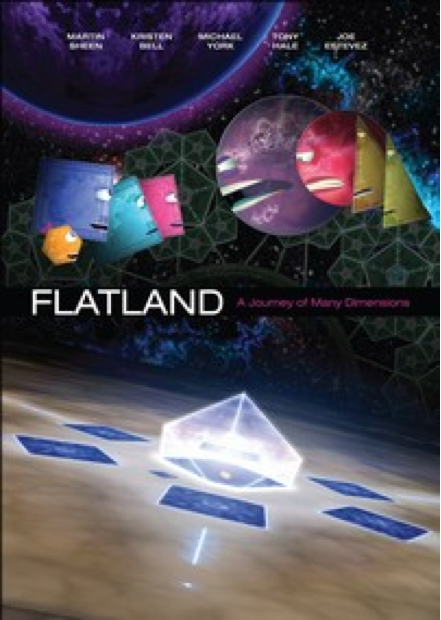 After watching Flatland: The Movie, reflect on your perspective as a 3D being? How might your perspective change if you were 0D, 1D, 2D, or 4D? Describe how you would see and move in one of these dimensions. Read Part I, Sections 1-2 of Flatland before class on Friday.